Learning to fly a helicopter can be a costly endeavor , so saving money and reducing the cost is something we are always trying to help our students do. 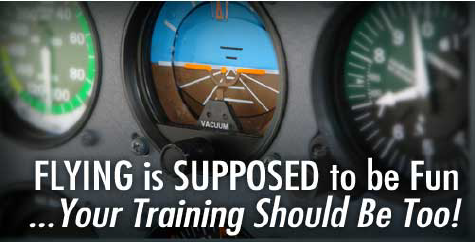 There can be several layers that add up to the cost of flight training. At first glance, it’s easy to compare flight schools by their aircraft rates alone. The entire fee structure may include aircraft rental (wet vs. dry rental), insurance, fuel prices, taxes, processing fees, instructor fees and surcharges. If it sounds too good to be true, there may be hidden fees. How much is the aircraft rental? Does this include fuel and oil (wet) or not (dry)? How much is the charge for the instructor? Do they charge different rates for different training? How much time do instructors spend in ground training, briefing and debriefing? Do they charge for this time? Are there taxes or processing fees? How much can I expect to spend on books and materials? As you answer each of these questions it will lead you through the total costs from school to school. Some schools may include an entire cost break down up front while others may only advertise the aircraft rate. Lastly, the total costs for a license is often based on the minimum number of flight hours required by the FAA and most students will exceed the minimum amount due to things like weather, maintenance, scheduling, etc. When choosing a flight instructor, there are also many questions that you should ask. Honestly, communication and personality go a long way here and it’s best to find someone that fits your style of learning. Obviously make sure that flight instructor has the appropriate credentials. How long they’ve been employed at the school? Where they learned to fly? How many hours have they taught and flown and if you can, find out what their previous students have to say about them. Don’t just look at flight hours alone when determining if an instructor is good or not. You’ll really want to find someone who communicates well and makes you feel comfortable. Switching instructors at any point during your training is ok too, but if you’re able to, stick with 1 to 2 instructors per license/rating. The aviation community is a small one, and the helicopter community is even smaller. Other pilots and industry professionals are a great resource to inform you on who flies safely and who doesn’t, who maintains their aircraft appropriately, and, who is liked or disliked around the airport. You can also call the nearest FAA FSDO office or a local FAA designated examiner to ask them about the local flight schools. While they might not give you specific details about the “good” and “bad” schools in the area, you’ll likely get a sense for the reputation each flight school has. Part 61 allows for an instructor to adapt a syllabus and lesson plans if they choose to and adapt as you go. Most of the time, the knowledge portion is left for the student to figure out on their own. It is the more common method since it doesn’t require the scrutiny of the FAA. Part 141 schools must follow a syllabus and lesson plans that must be approved by the FAA in order to receive the accreditation . A student in a Part 141 school can expect more structured, often demanding training program in a more professional atmosphere. Instructors or schools that follow a syllabus, including lesson plans, stage checks and progress reports and stay up to date with modern methods like the FAA FITS program are typically ones that are interested in seeing you succeed. The helicopter you decide to use for flight training can be a personal preference. Pay close attention to the aircraft’s maintenance and logbooks. Don’t be afraid to ask the flight school to show or tell you how they handle their maintenance program. If they’re not able to answer the question or refuse to show you the aircraft’s logbooks altogether, that should be a red flag. The flight school should be able to show you when the aircraft was last inspected and if there were any maintenance issues the aircraft may have had in the aircraft logbooks. Pay careful attention to the training environment, instructors, and aircraft when deciding on a flight school and it will ensure that you get through training efficiently. Remember, flying should be fun, your training should be too and if you find you’re not enjoying yourself, don’t be afraid to switch it up and go somewhere else!